Just as the Internet of Things (Iot) is transforming industrial operations, maintenance roles are also being transformed. With equipment and building systems growing smarter, those who operate and maintain them must do likewise. Although we’ve heard that the Internet of Things (IoT) is poised to transform the industry, in some cases, it already has. Today, more and more businesses are implementing IoT-enabled equipment and generating an ever-growing influx of data that has the potential to transform their operations. For industry applications, the value of the Industrial Internet of Things (IIoT) is expected to continue to grow at an astounding rate. While that should come as no surprise, there is one important caveat. 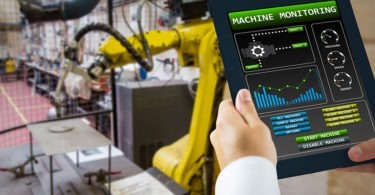 As Schneider Electric’s “IoT 2020 Business Report” noted, operational and management professionals in buildings, factories, global supply chains, and cities must be able to turn data into actionable insights about the efficiency of machines or production lines. Collecting and analyzing this operational intelligence can help the workforce improve business strategies that drive performance and sustainability. Shishani reports that industry is already seeing the effects of an internet-connected, internet-dependent world—and that business leaders are paying close attention to its impact on their operations. In fact, based on Schneider Electric’s research, 70% of decision makers have seen the business value of IoT through its ability to create new opportunities for their companies, improve the efficiency of their businesses, and deliver long-term business benefits. These smart systems provide improved visibility into operations and allow users to control everything from specific lines of equipment to the entire industrial process, locally and remotely. Proactive maintenance, based on predictive decision making, lets personnel troubleshoot and remedy issues in real time, before operations are affected. That approach reduces system downtime and opens the doors for more regularly scheduled preventive maintenance. The collected data can provide a wealth of useful information, including circuit-breaker status, energy use, and important system notifications. With just a simple Internet connection, the information is readily available on an operator’s computer screen. Cloud-based solutions provide personnel with access to data through apps on their mobile devices, making the decision-making process even faster and more reliable than is possible with conventional systems. Note that while IoT-enabled tools such as these offer great potential to improve a plant’s productivity, they can only be maximized if personnel are able to properly use them. As plants and facilities evolve to require constant monitoring, maintenance staff must be trained to use stationary and mobile equipment. Decisions, in turn, can be made anytime and anywhere, saving time and eliminating the need for on-site visits. With data becoming more useful, traditional methods of performing work may no longer be relevant. The increase in data, in general, suggests the volume of it specific to electrical systems is likely to increase as well. Furthermore, just as the IoT is transforming industrial operations, the role of maintenance personnel is also being transformed. • Use new skills to gather and analyze data to ensure decisions are made quickly and accurately. • Offer solutions that take into account the energy usage of a particular process or facility to ensure energy efficiency and sustainable operations. • Embrace the transformation of their role as IIoT-solutions providers by expanding their knowledge of IoT and how to use the resulting data. In light of the aging workforce, industries will be challenged to engage personnel in new technologies while training newcomers—who most likely will be Millennials—to build on existing digital skills and apply them to a new environment that is always on, constantly connected, and moving quickly. Mohamed Shishani is go-to-market strategy and launch manager for Schneider Electric’s Building & IT Business. For more information, visit schneider-electric.us. Training personnel to interpret the influx of data produced by IoT technology is critical to ensure businesses are prepared for an evolving industry. As younger workers enter the workforce, businesses must evolve with the types of resources they are providing their employees. With the right training and digital tools, companies can set them up for success. The first step is to provide employees with the knowledge they need—right at their fingertips. In the age of IoT, giving the workforce access to the right information when, where, and how it’s needed will be paramount to the entire operation’s success. Businesses are using innovative digital tools to make sure information is readily available and easily accessible. With online portals, personnel will have access to product information, training, and technical support tools designed to make the information-gathering process easier so they can get back to their jobs more quickly. Through a combination of apprentice libraries, videos, interactive technical support, training materials and up-to-date information on the latest codes and standards, the workforce will be equipped with all of the information needed to generate informed operational decisions. In addition, design and/or implement the right types of programs to train and develop your workforce. For businesses with an eye on IoT, training programs should be deployed to keep employees on their game. It’s important that new employees be trained to leverage tools to help them interpret data. An emphasis should also be placed on providing existing employees with training on new technologies to ensure they are able to complete their jobs with the efficiency needed to keep up with IoT technology. Finally, incorporate safety into ongoing training. When a job involves electrical equipment, it’s imperative that safety be part of the ongoing discussion. Safe electrical practices, such as how to approach a tripped circuit breaker and how to mitigate arc-flash hazards, can be the difference between a near-miss incident and harmful electrical accident. Emergency response and CPR training are also extremely relevant and important for plant and facility operations employees. OSHA and other regulatory agencies require emergency-response training for specific occupations every one to two years.